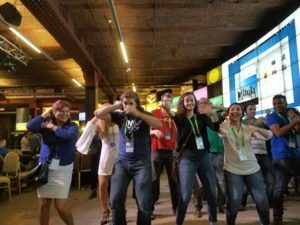 Like everybody else, I had a great time at GUADEC this year. 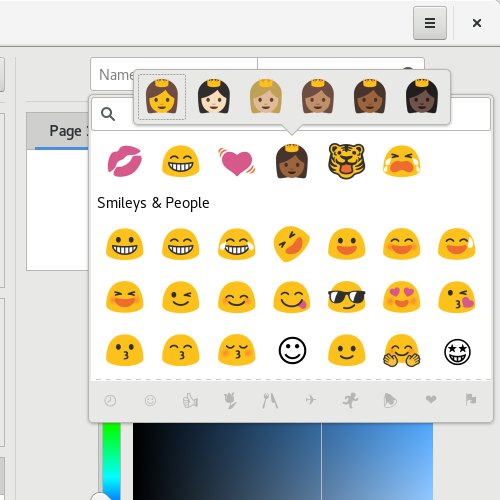 One of the things that made me happy is that I could convince Behdad to come, and we had a chance to finally wrap up a story that has been going on for much too long: Support for color Emoji in the GTK+ stack and in GNOME. Behdad has been involved in the standardization process around the various formats for color glyphs in fonts since the very beginning. In 2013, he posted some prototype work for color glyph support in cairo. This was clearly not meant for inclusion, he was looking for assistance turning this into a mergable patch. Unfortunately, nobody picked this up until I gave it a try in 2016. But my patch was not quite right, and things stalled again. We finally picked it up this year. I produced a better cairo patch, which we reviewed, fixed and merged during the unconference days at GUADEC. Behdad also wrote and merged the necessary changes for fontconfig, so we can have an “emoji” font family, and made pango automatically choose that font when it finds Emoji. 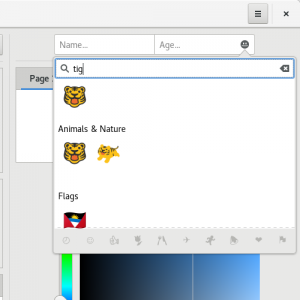 After guadec, I worked on the input side in GTK+. As a first result, it is now possible to use Control-Shift-e to select Emoji by name or code. This is a bit of an easter egg though, and only covers a few Emoji like ❤. The full list of supported names is here. As you can see, it supports variation selectors for skin tones, and lets you search by name. 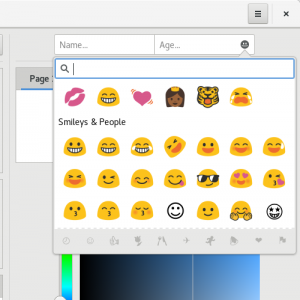 The clickable icon has to be enabled with a show-emoji-icon property on GtkEntry, but there is a context menu item that brings up the Emoji chooser, regardless. I am reasonably happy with it, and it will be available both in GTK+ 3.92 and in GTK+ 3.22.19. We are bending the api stability rules a little bit here, to allow the new property for enabling the icon. Working on this dialog gave me plenty of opportunity to play with Emoji in GTK+ entries, and it became apparent that some things were not quite right. Some Emoji just did not appear, sometimes. This took me quite a while to debug, since I was hunting for some rendering issue, when in the end, it turned out to be insufficient support for variation selectors in pango. Another issue that turned up was that pango did place the text caret in the middle of Emoji’s sometimes, and Backspace deleted them piece-meal, one character at a time, instead of all at once. This required fixes in pango’s implementation of the Unicode segmentation rules (TR29). Thankfully, Peng Wu had already done much of the work for this, I just fixed the remaining corner cases to handle all Emoji correctly, including skin tone variations and flags. But this code still needs some refinement before it is ready to land. It also overlaps a bit with traditional input method functionality, and I am still pondering the best way to resolve that.